Saturday from 8am-1pm with our fresh black truffle harvested today. Truffles are a flavour enhancer and are best initially served with simple dishes involving eggs, mushrooms, chicken, pasta, potatoes, risotto, or Jerusalem artichokes. They have a great affinity for fats and starches which take on their exotic aroma. Shave or grate truffles as thinly as possible. As the flesh is exposed this liberates the aroma of the truffle. As a serving suggestion, use a minimum of 3g per person for an entrée plate and about 5g per person for a main plate. As a guide, a 50g truffle is about the size of a large hen’s egg. Truffles are best stored in the refrigerator in a large, sealable glass jar (or plastic airtight container), each wrapped in paper towel (change daily) to prevent them getting wet. They lose moisture, and weight and aroma, continually and are at their best within a week of purchase. Place your truffle in a sealed glass jar with 3 – 4 eggs for 24 hours in the fridge, then use the infused eggs for truffled scrambles eggs or as a truffled omelette, shaving the truffle on top at serving. Return the unused truffle back in the fridge as before. Place the truffle in Arborio rice for 1-2 days, before making a risotto, again serve with some shavings or thin slices on top. Shave your truffle over freshly cooked pasta with a wine, cream and parmesan sauce. Grate over blanched asparagus, mashed Jerusalem artichokes, corn cobs, or fresh beans. Place slices of truffle under the skin of a chicken before roasting. Any left over? Grate the truffle and mix it with a good unsalted room temperature butter. Freeze for up to 6 months and use as above, or grate it into honey and serve it over cheese or ice cream. 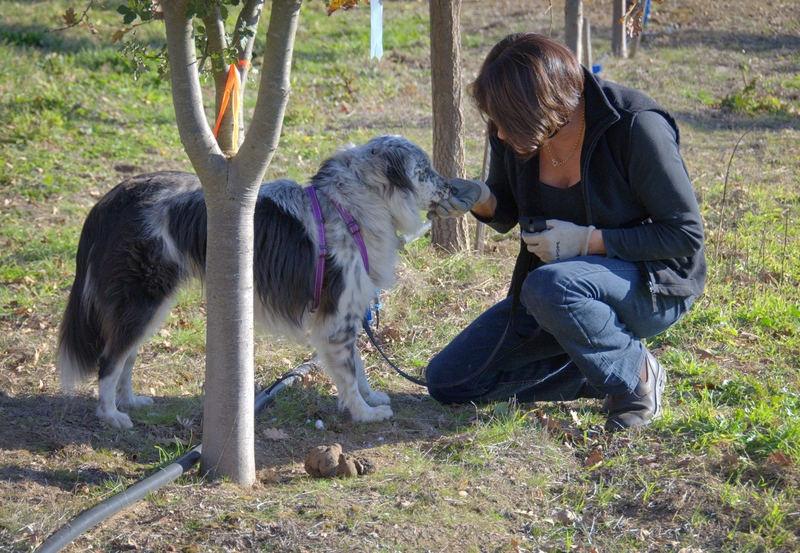 Truffles are a fungus which grow in a symbiotic relationship with suitable host trees, commonly oak and Hazelnut. Truffles occur naturally in the forests of Europe and in recent years have been cultivated in soils modified by the addition of lime. The seedling roots are inoculated with the truffle spore and planted out into prepared soil. As the roots spread and the tree grows, the truffle grows with them. 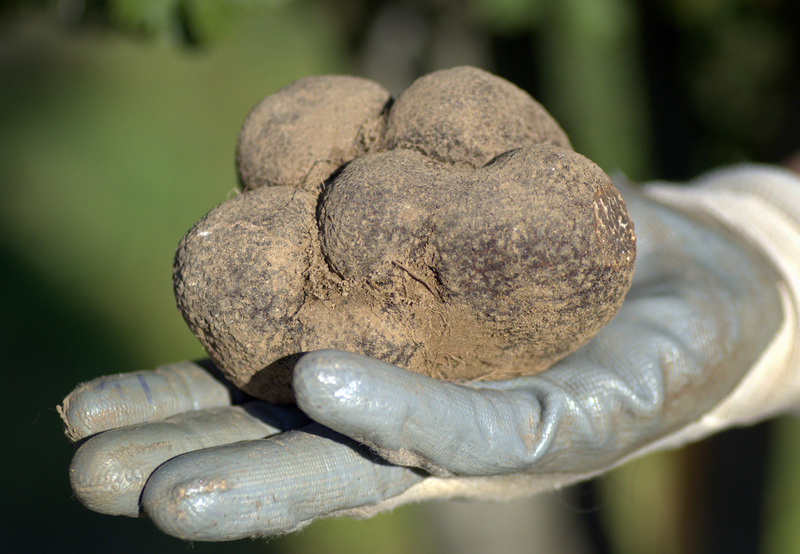 The truffle fruit forms in late spring, grows through summer, and ripens with the onset of winter frosts and is harvested in June July and August.